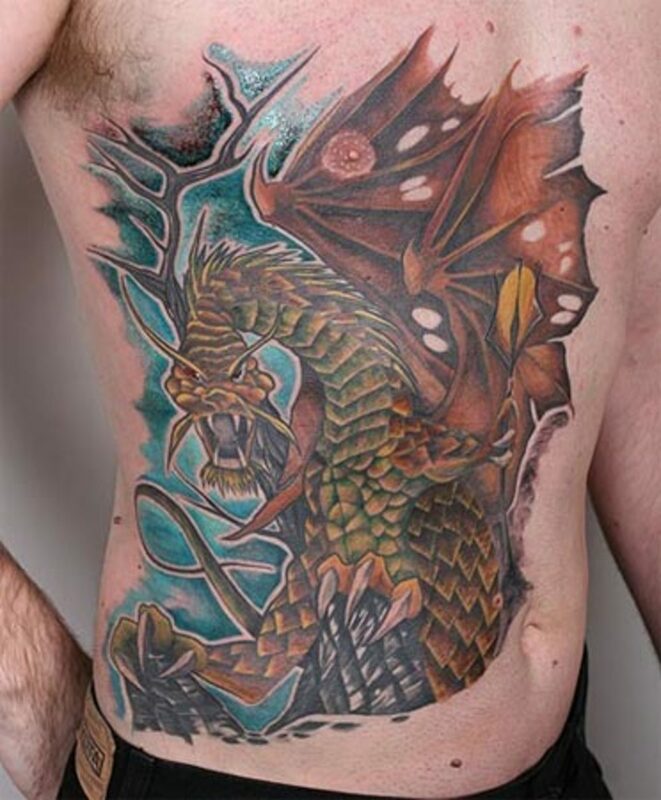 Dragons are one of the most popular mythological creatures. 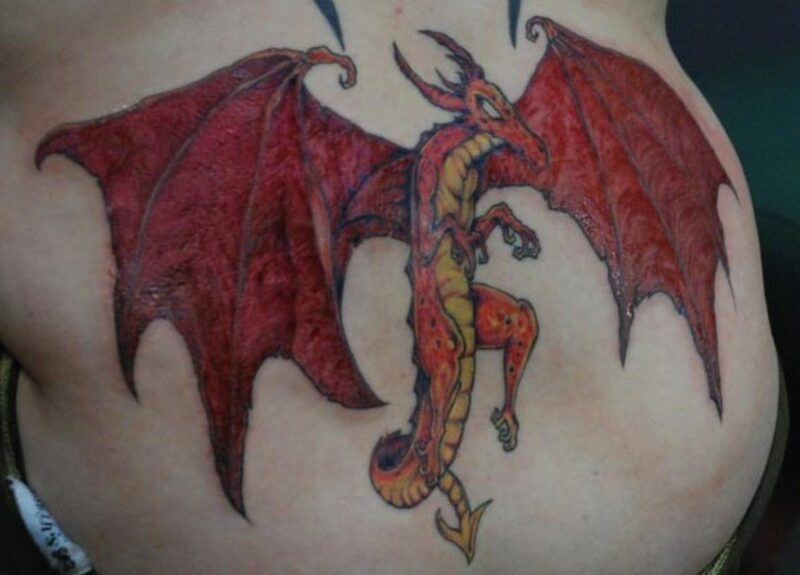 They are fire-breathing, winged beasts that descend from various legends and tales. There are two different types that you'll commonly see: the Eastern and the Western. 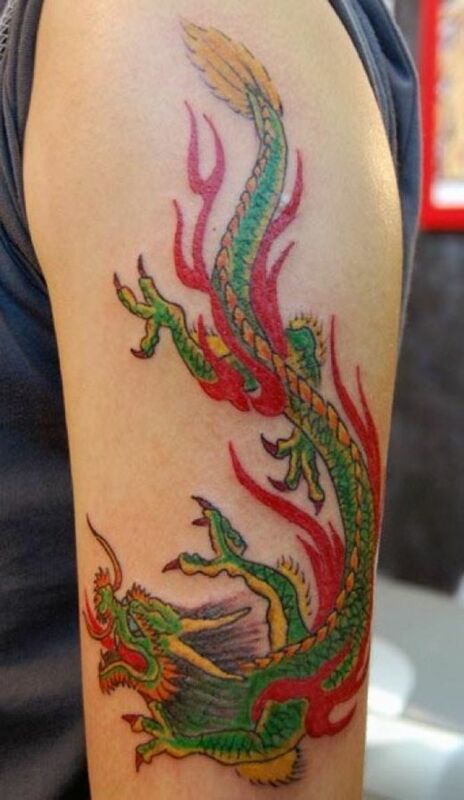 The Eastern dragons of the orient are seen as benevolent creatures who are the protectors of life, fertility, and good fortune. Western ones tend to be evil creatures that destroy villages and guard hoards of treasure. 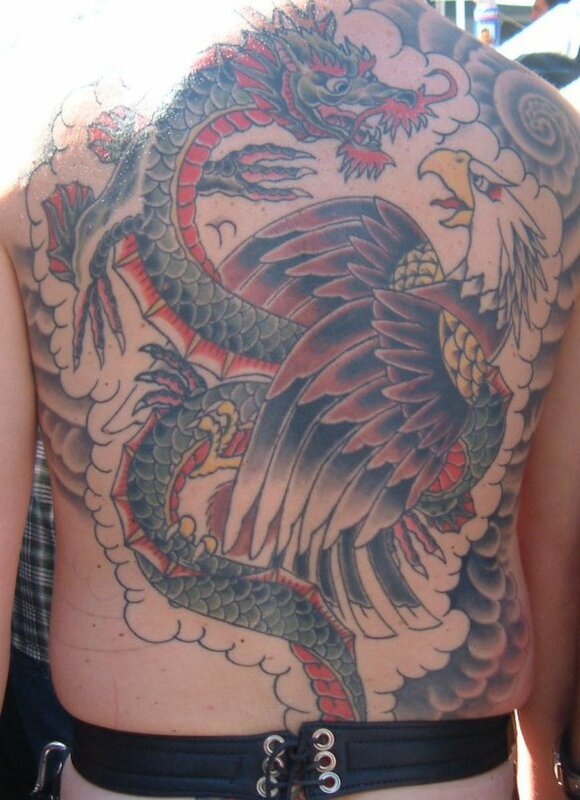 As a tattoo, these creatures are usually represented in the Eastern style. 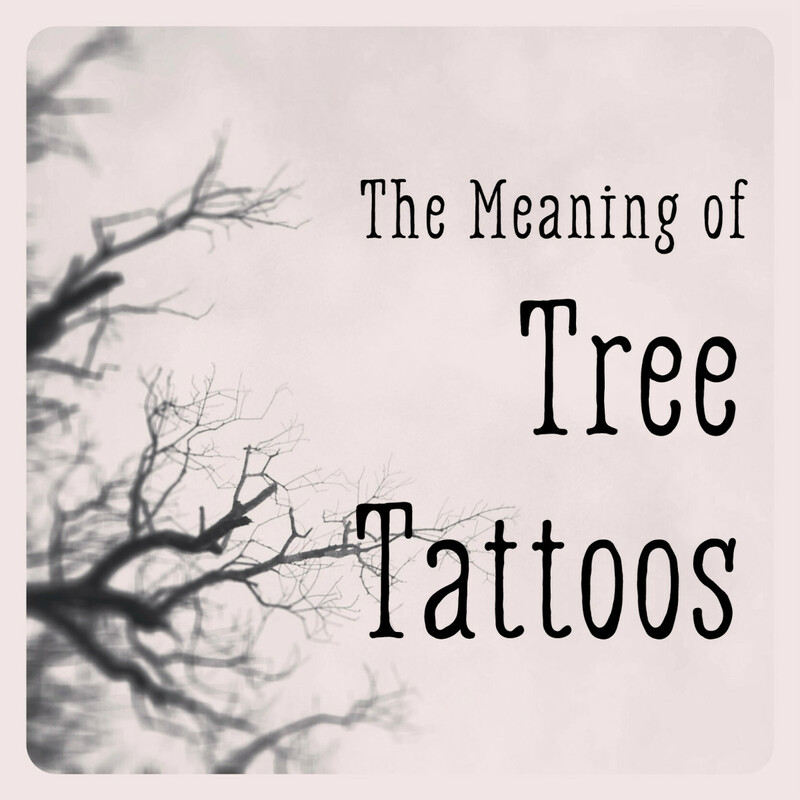 They are normally seen in black and commonly drawn with flames and fire. 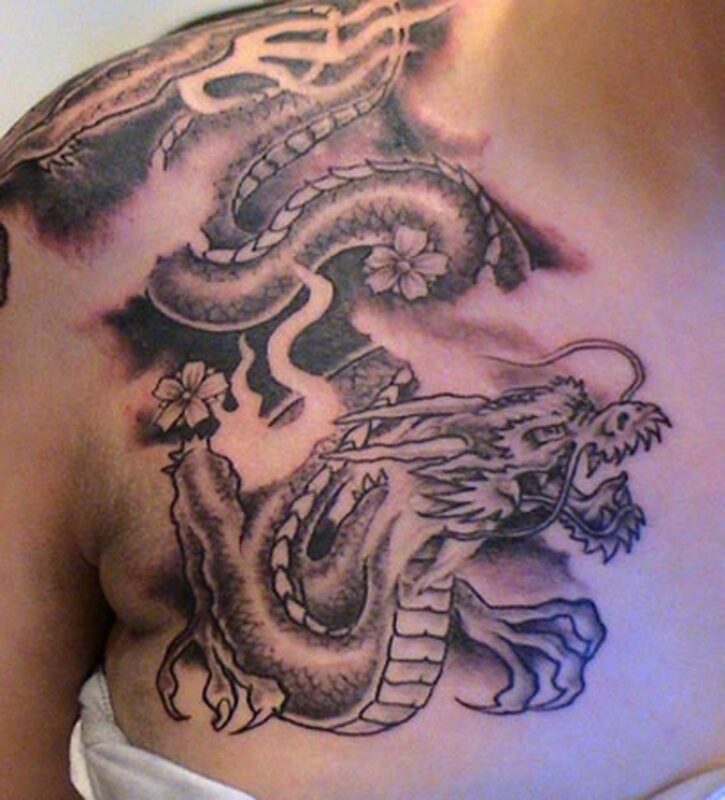 However, Japanese and Chinese dragons are usually pretty ornate and can be in color or in black and white shades. 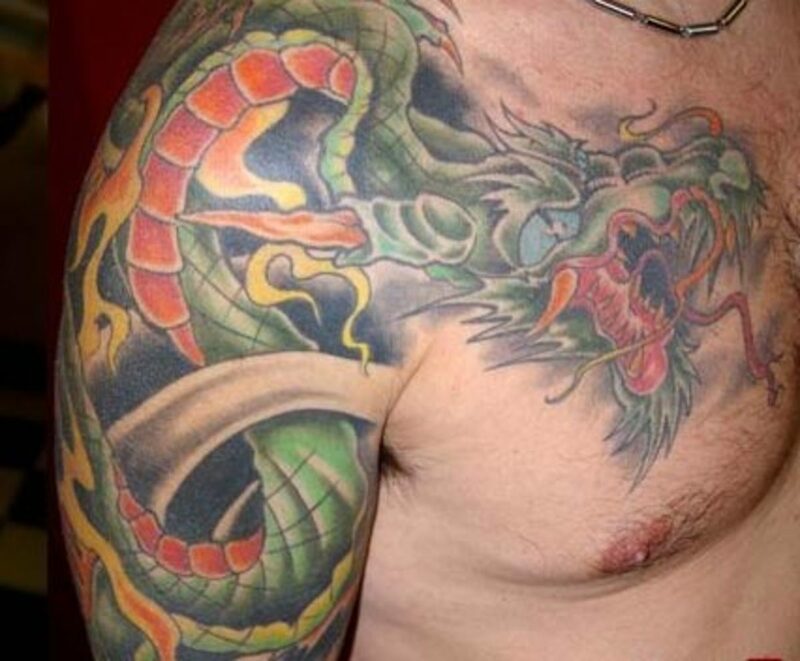 It's up to you what you want for your tattoo. This is a popular design for both men and woman. 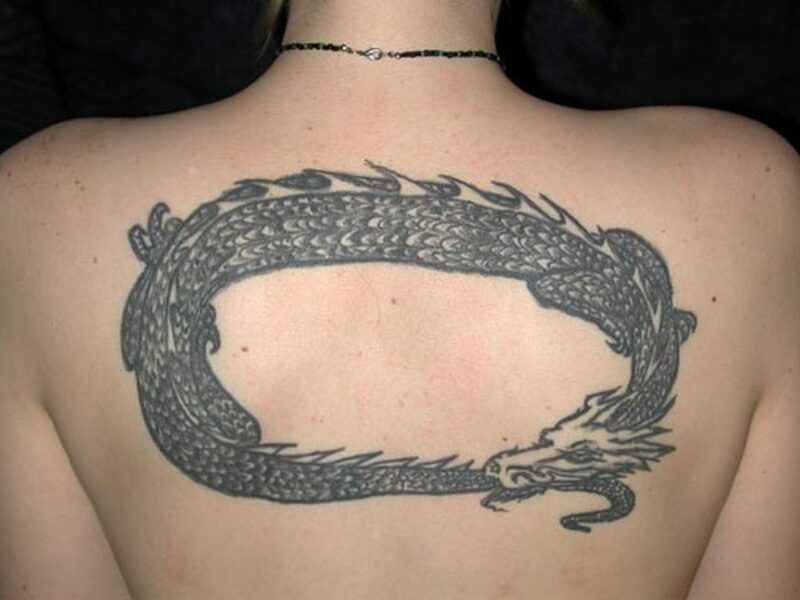 Everyone finds their own symbolism behind the dragon. 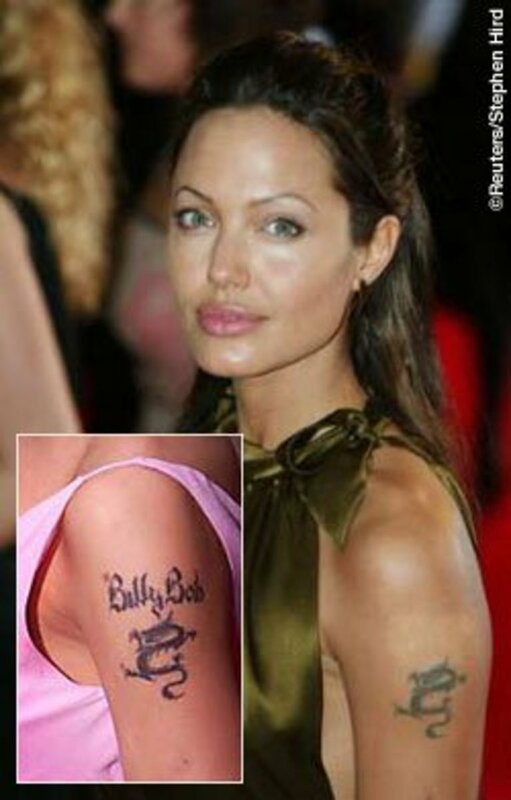 These tattoos can mean different things to different people. 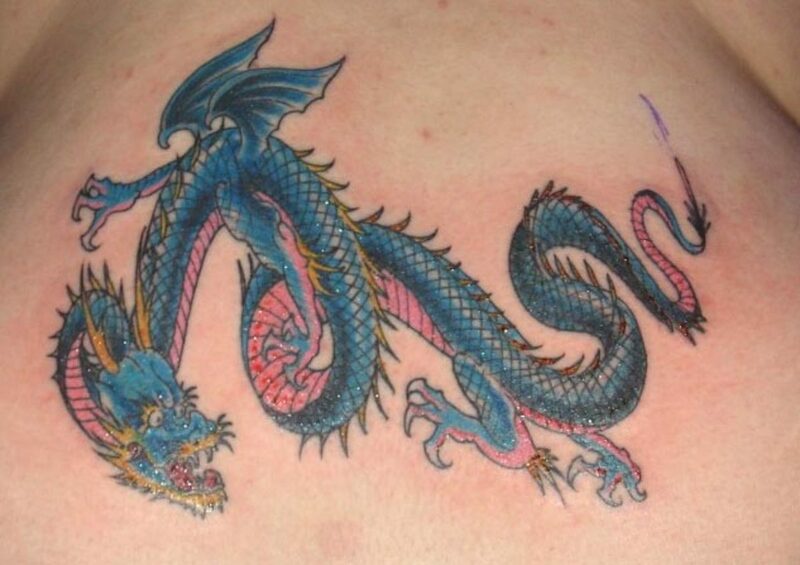 What design you choose depends on how you see this mythical creature. 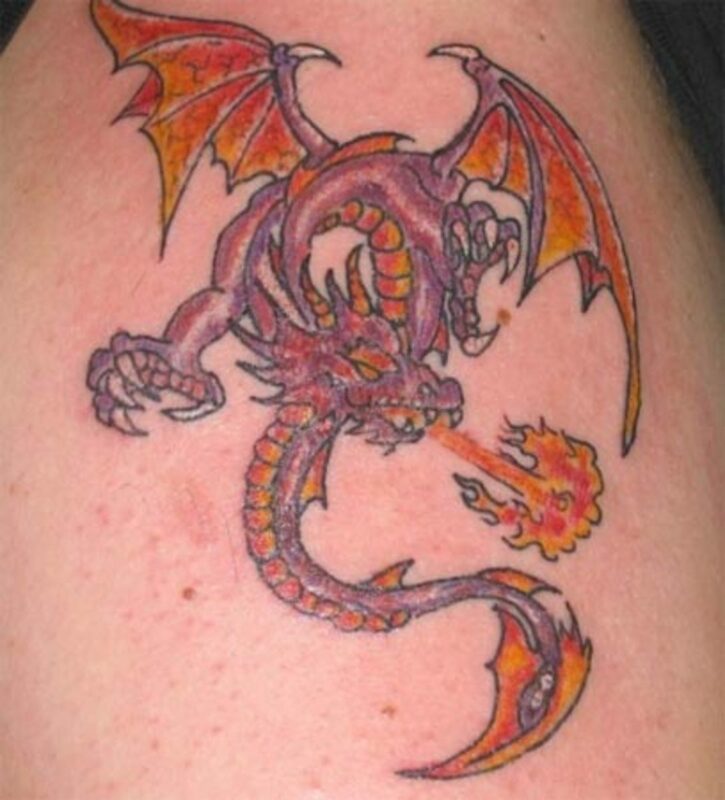 Many men tend to associate with dragons themselves, which is why they get them for tattoos. Some men see themselves as guardians over loved ones, and since this creature symbolizes protection, it fits the mold of a guardian. Because woman are those who give birth, they can be seen as a creator of life. Women can associate with the mythological being in terms of protection and children; in most cases, mothers will protect their children until the end. 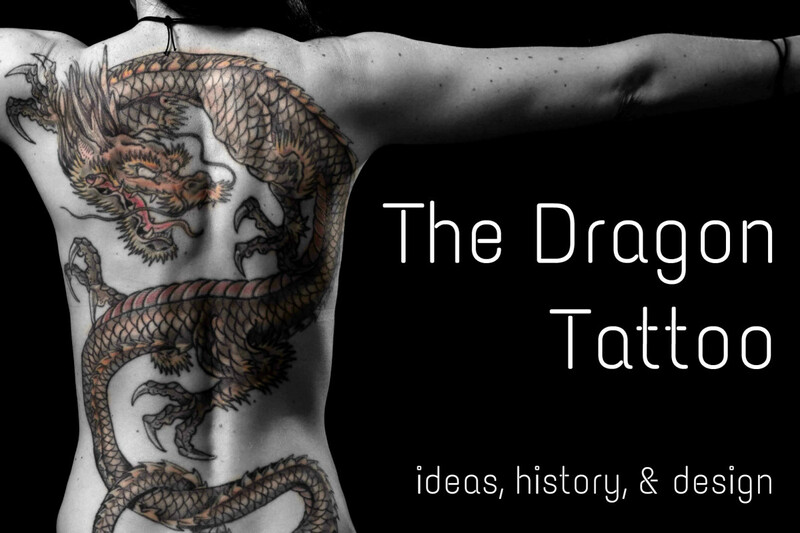 Women may see themselves embodied in the strength of the dragon. 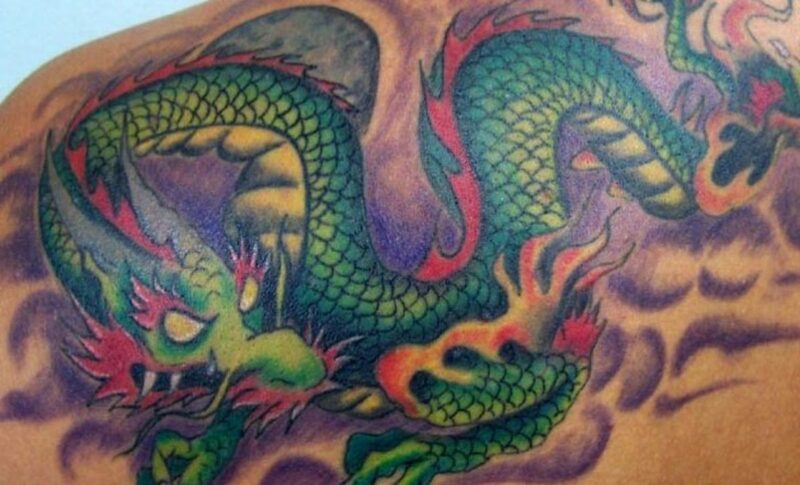 Chinese dragons are symbols of power and mystery, similar to what they are in Western legends where they evoke fear and worship in man. 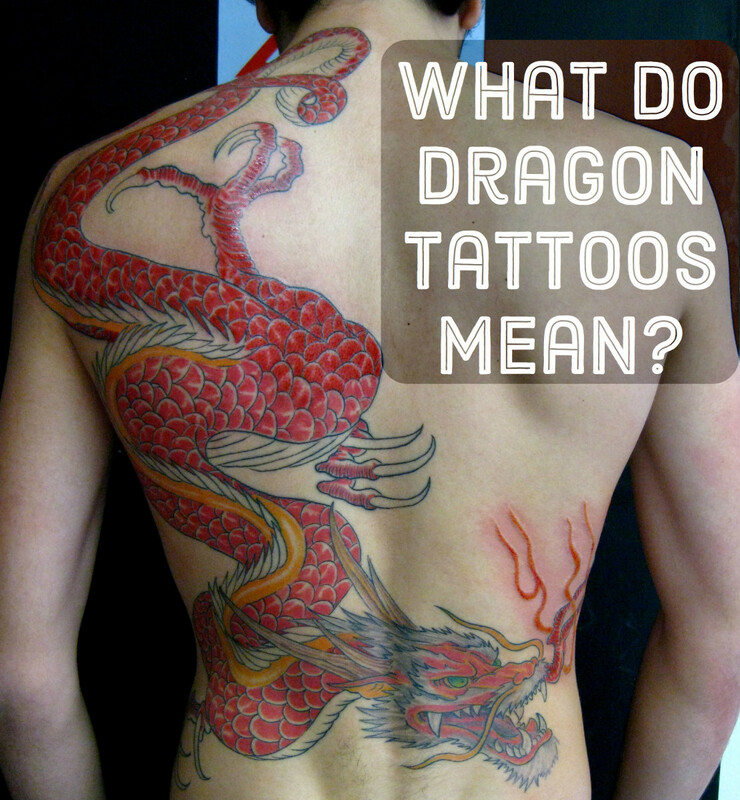 Although there's a bloodthirsty ferociousness in dragons, oriental cultures see the mythical beast for its benevolent features. 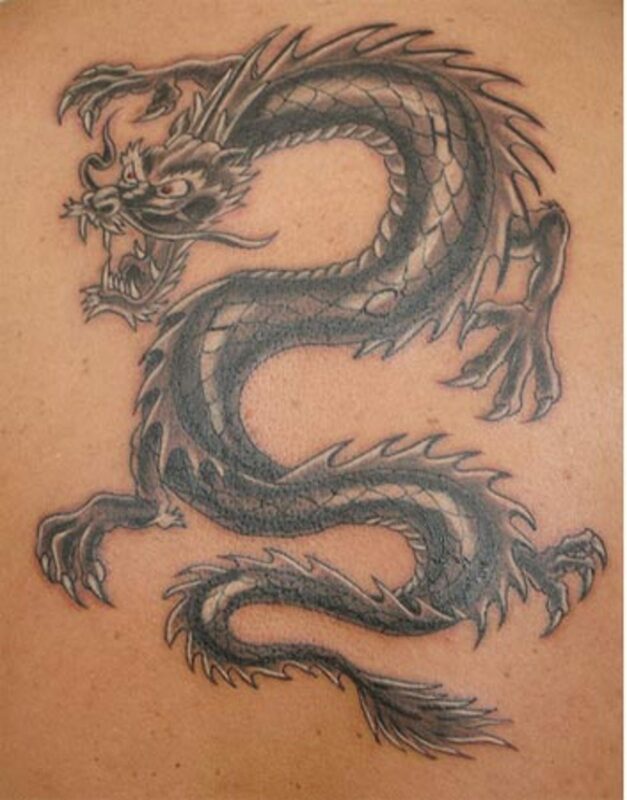 It is the most common symbol of identity for Far Eastern cultures. Nice pictures! 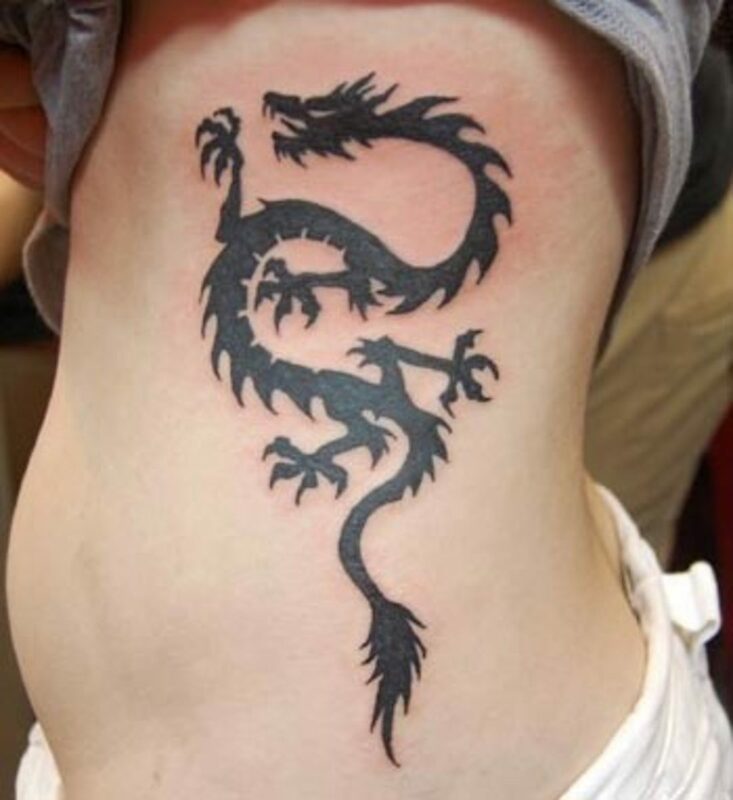 Interesting because I'm a female and my dragon tattoo is part of two other tattoos creating standing for Serenity Courage and Wisdom (the dragon representing Wisdom). 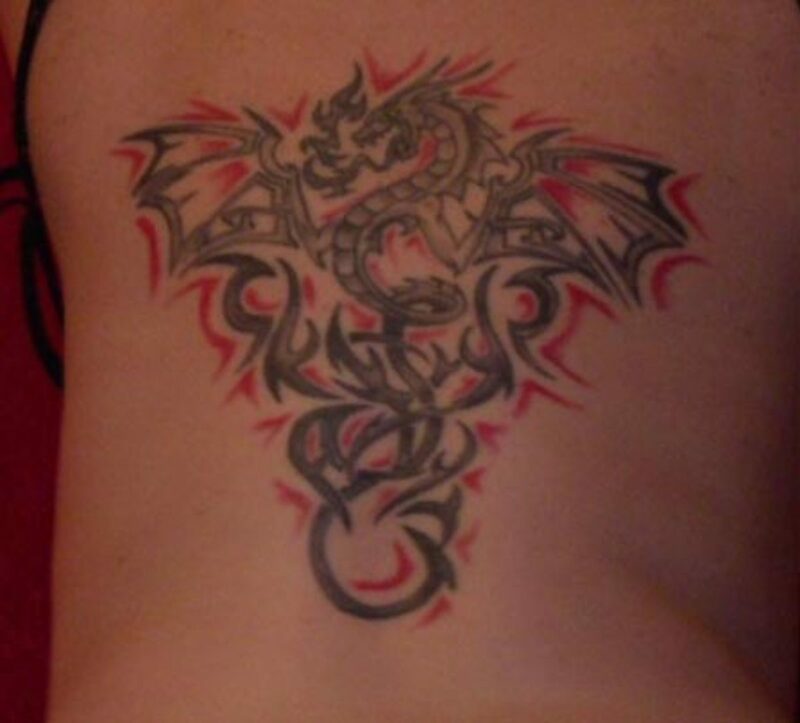 All three are down the right side of my back. I will try to post a picture if I can! 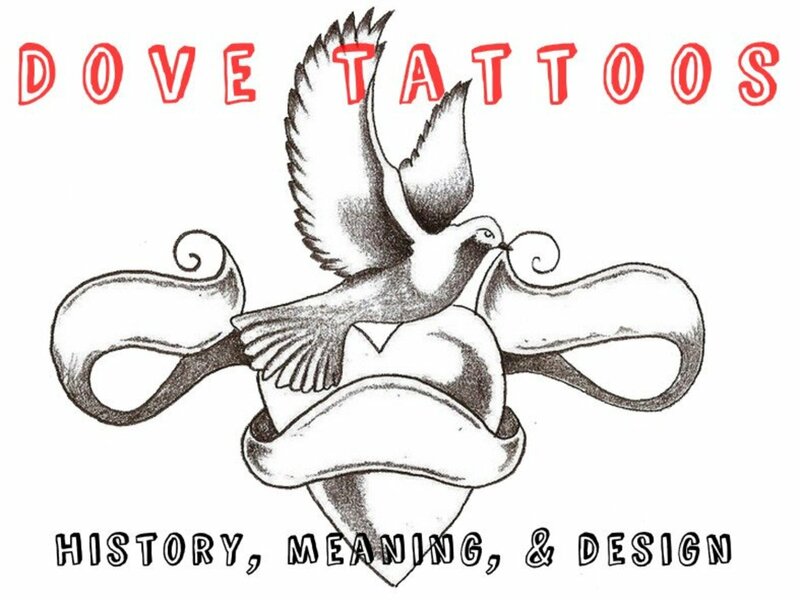 Another awesome piece of art by Chris Garver! Would love for him to add to my collection ! 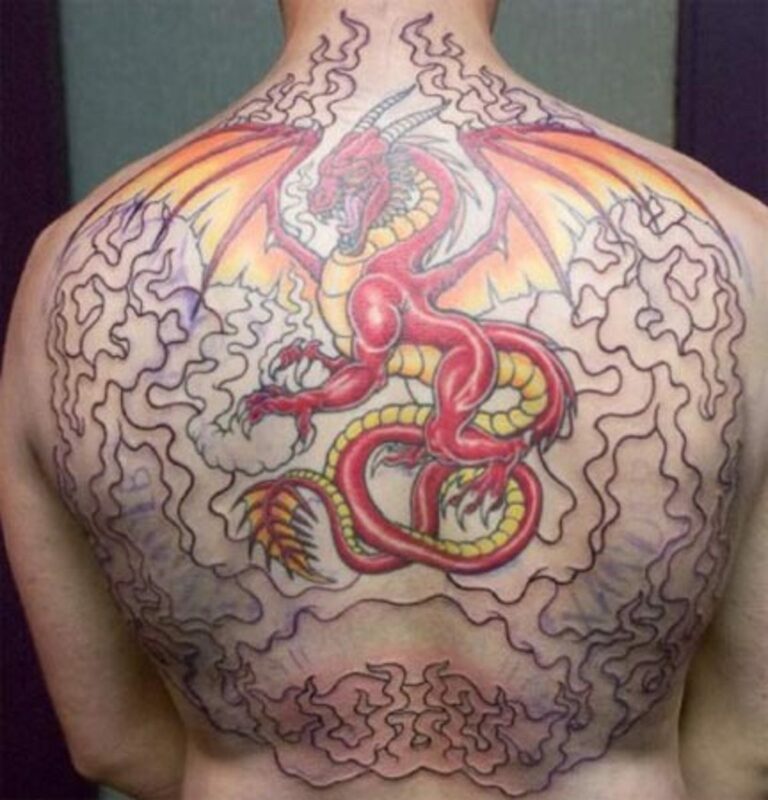 Does it have any symbolism if the dragon faces up or down? 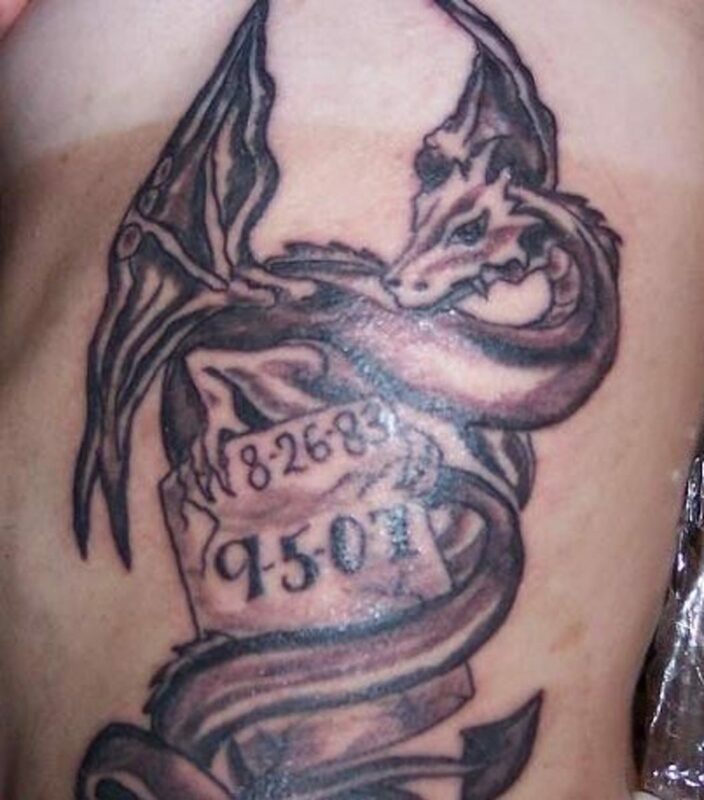 Is it gay for guys to have a dragon going up there rib cage? Nice Site And Good Post. I Really Like it. Great Job Thanks For Posting it. I Would To Come Again. 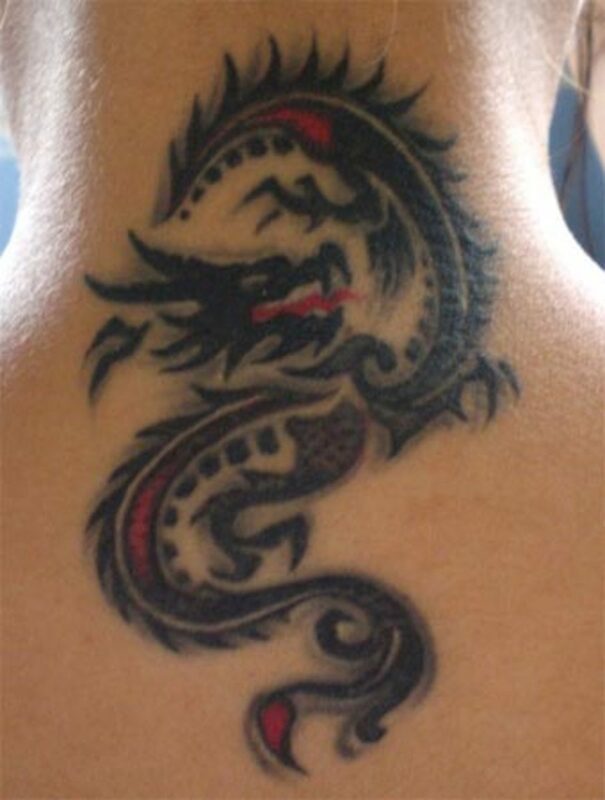 I have a couple of dragon tattoos and I love them, they fit me. Great art is hard to find. 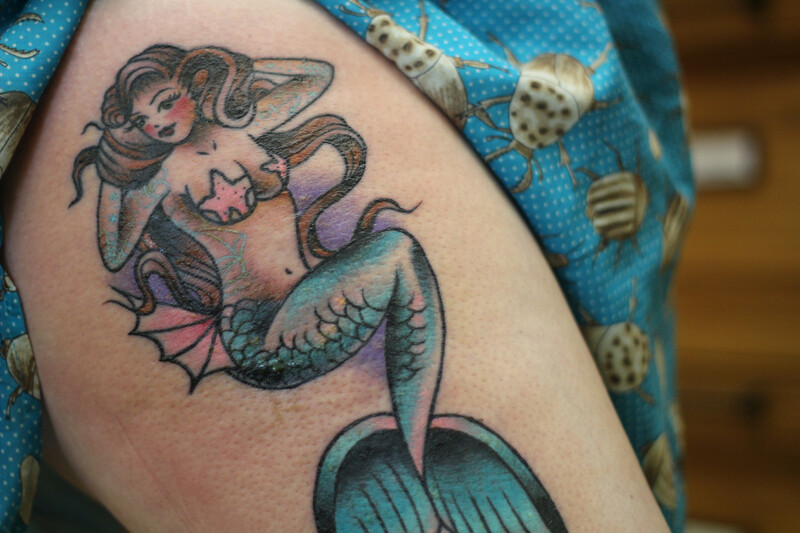 Colorful tattoos and nicely done. 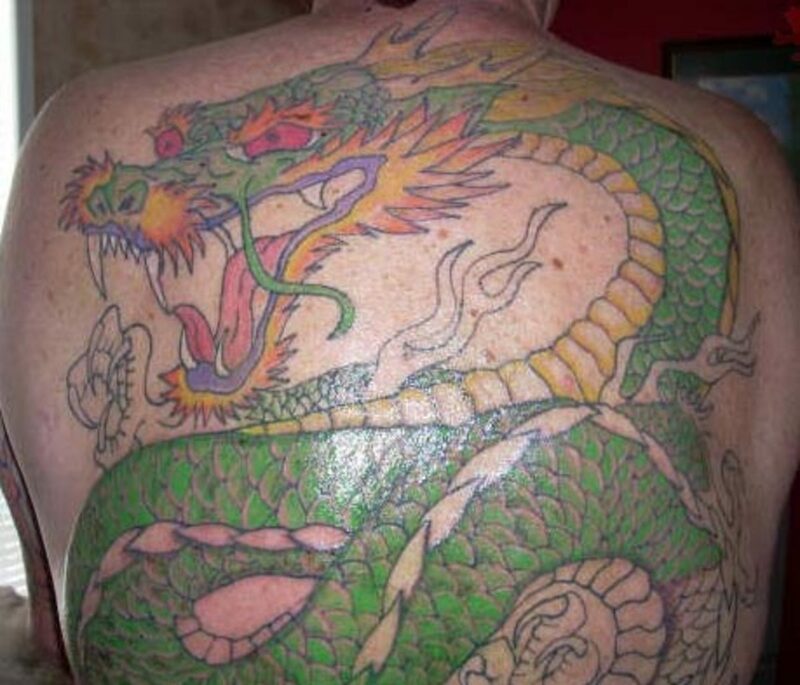 that's a beautiful dragon tattoo you have... 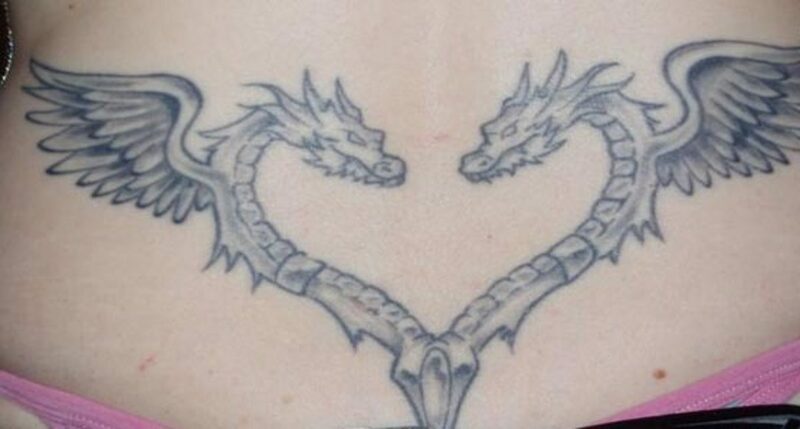 I'm a fan a people that has dragon tattoo... 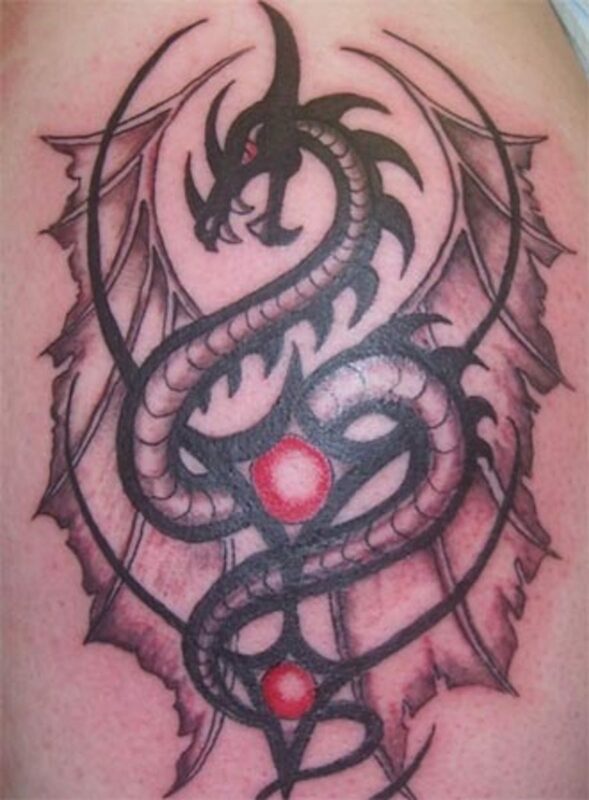 I would really like to have one Its just I cant pick a designs of the millions that i have seen. 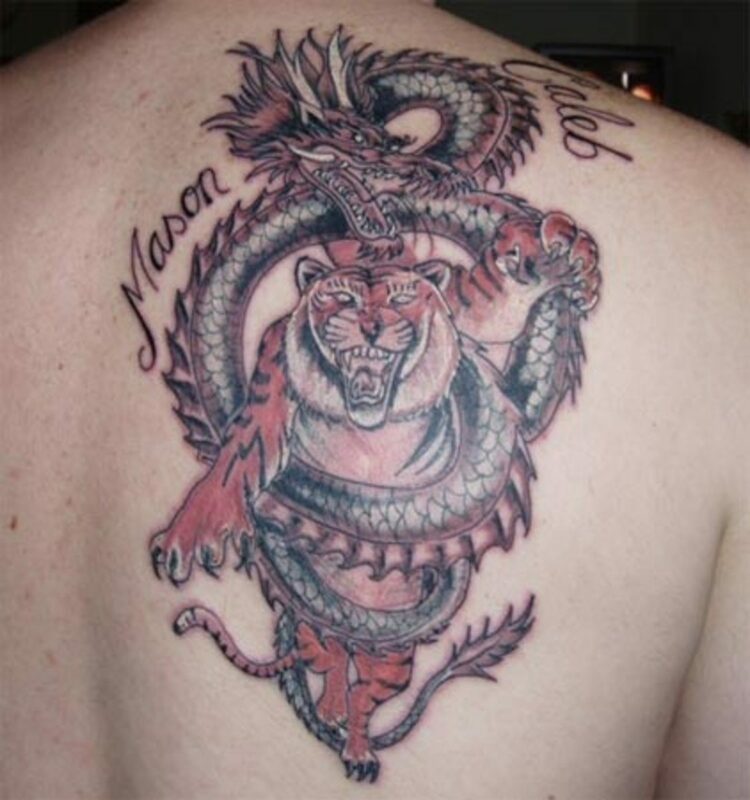 That is a great tattoo. But a bit difficult. 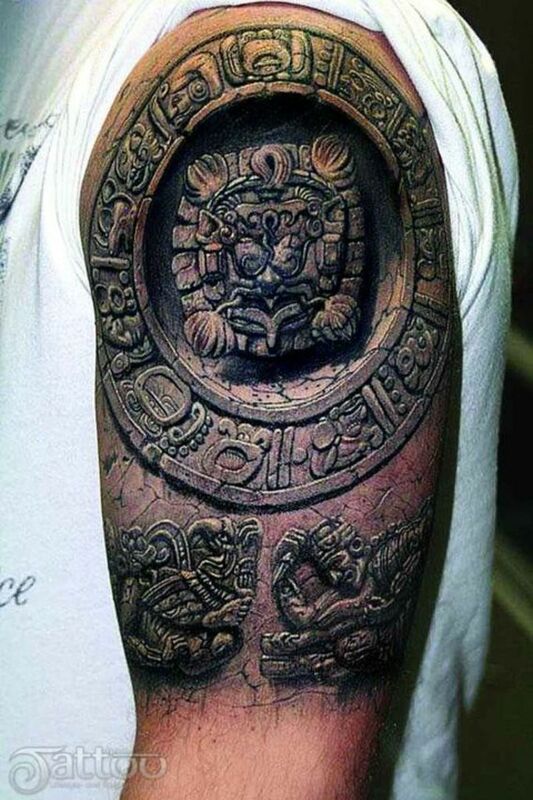 That's tattoo looks outstanding!! Great art work. 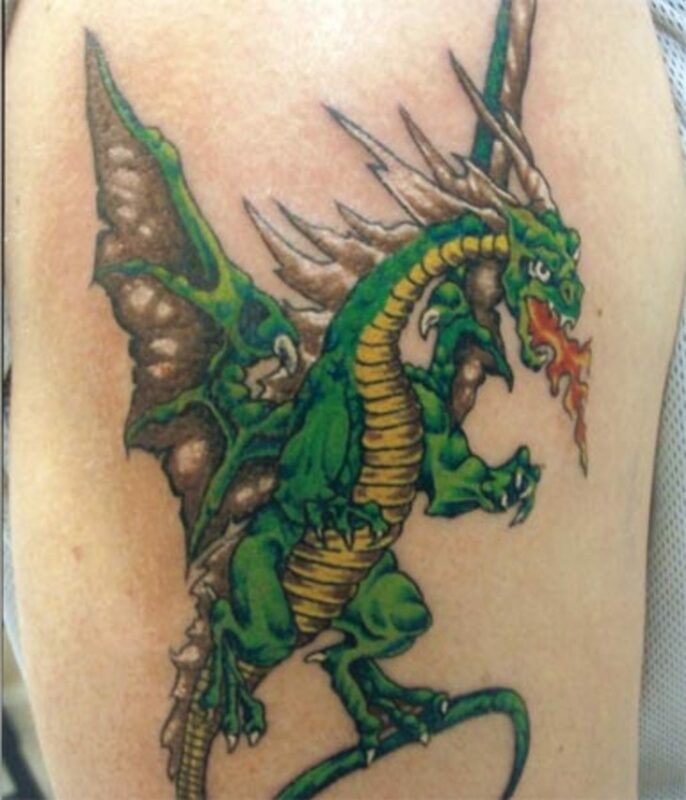 Thanks for the great info and pictures of dragon tats!! !